Today, we look at a Lucio Fulci classic and perhaps one of his best films, Zombi 2. 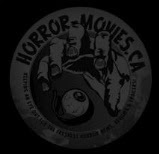 The film came out in 1979 and has been known by many names including Zombie, Island of the Living Dead, Zombie Island, Zombie Flesh Eaters and Woodoo. Even though it is the first of the Lucio Fulci Zombi films, they labeled it as part 2 because they wanted to capitalize on the success of Dawn Of The Dead even though the only thing the films have in common is zombies. An apparently abandoned yacht drifts into New York Harbor, and the Harbor Patrol investigates. On board, a huge rotting man (Captain Haggerty) kills Marty, one of the patrolmen, by tearing out his neck with his teeth. The remaining patrol man called Bill manages to knock the hulking man into the sea by blasting him with his revolver several times.A young woman named Anne Bowles (Tisa Farrow) is questioned by the police when it is discovered that the boat belonged to her father (Ugo Bologna). She does not know anything except that her father left for a tropical island to do research. A reporter named Peter West (Ian McCulloch) is assigned by his news editor (director Lucio Fulci in a cameo) to get the story on the mysterious boat. Anne and Peter meet on the boat and decide to work together after finding a note from Anne's father. The note says that he is on the island of Matool and that he has come down with a strange disease. Anne and Peter enlist the aid of a seafaring couple, Brian Hull ('Al Cliver' aka Pier Luigi Conti) and Susan Barrett (Auretta Gay), to help find Matool. On Matool, Dr. David Menard (Richard Johnson) is hard at work studying the island's secrets. Matool is a cursed place where the dead rise to attack the living, and Menard is determined to find out why. Menard's contemptuous, highly-strung wife Paola (Olga Karlatos) wants to leave the island in fear of the zombie attacks, but Menard insists on staying to continue his research. When Anne, Peter, Brian, and Susan reach Matool, the island itself seems to come alive, vomiting forth all the dead buried on the island to kill them. In the end, all of the island's inhabitants and Susan fall victim to the walking dead; Brian is infected and dies soon afterward. Peter and Anne manage to escape by boat, taking the now reanimated Brian with them as evidence for their story. Shortly after the group leaves the island and reach the open ocean, they receive a radio message that, to their great horror and dismay, the undead have attacked New York City. Marty, the policeman killed by the zombie, and his killer itself have infected the New York population, explosively multiplying the zombie army beyond any hope of control. While the story is written very well, the acting can leave a little to be desired. The effects were handled professionally though and the scene with the piece of door in the eye and the zombie fighting the shark were magnificent. This movie spawned three sequels, all of which are very forgettable. However, if you are a completest, the three sequels are available as a box set on dvd. As for Zombi 2, you have more than a few choices for your home video viewing. The best, in my opinion, is the Shriek Show 25th anniversary box set. It is the most complete release thus far and even includes rare interviews on the 2nd disc. If you have not had the pleasure of seeing Zombi 2, take the time to do so. I totally agree with what you said here, but until i hunt down "The Beyond" i'd say this is by far one his best zombie films. 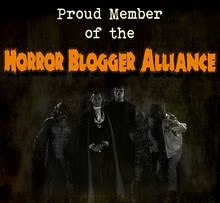 And yea, the acting is off in most places but think about Italian horror films in general; can anybody name one that has Oscar quality performance? Excellent review; I just reviewed this one myself today as well! The first time I saw this film I wasn't really that impressed, but after watching it again and again, I began to really appreciate it, and now it's one of my favs. 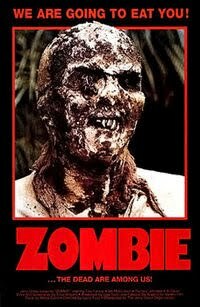 I have to say that Zombi 2 was the first film to really 'grow on me"
Definitely my favorite zombie movie! Love that unsettling score, too.